We have the perfect gift for the Expecting Couples on your Christmas list this year! You are expecting your first child! 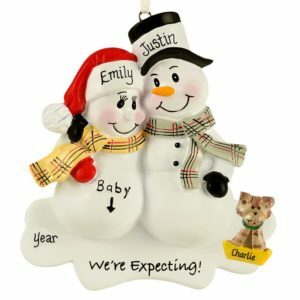 Undoubtedly this is the most important experience of your life. 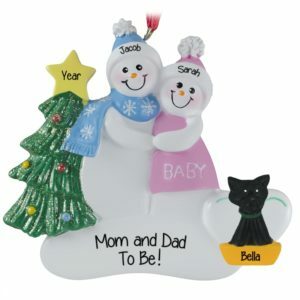 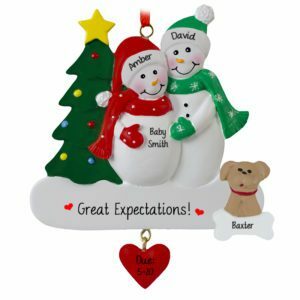 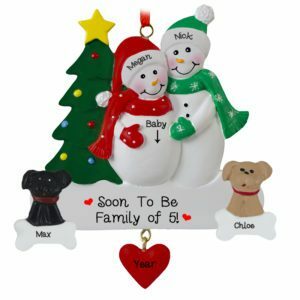 Personalized Ornaments For You can help you remember this time year after year by providing a cherished keepsake for your Christmas tree. 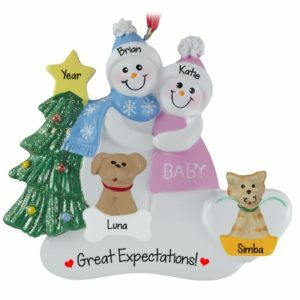 From realistic to whimsical, we stock many different types from which to choose. 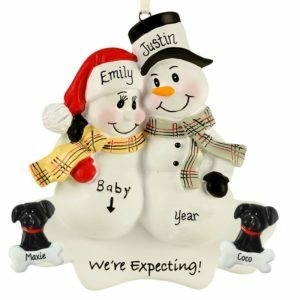 Perhaps a frame for the ultrasound picture? 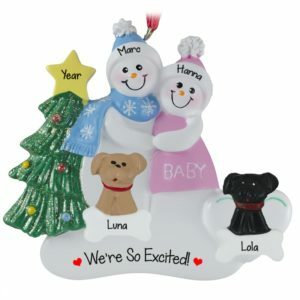 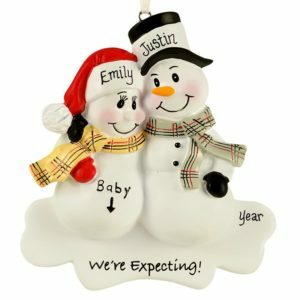 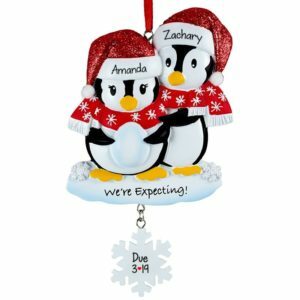 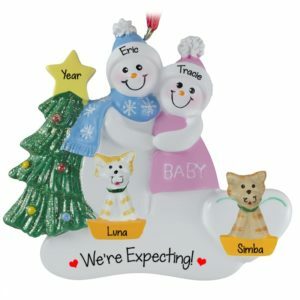 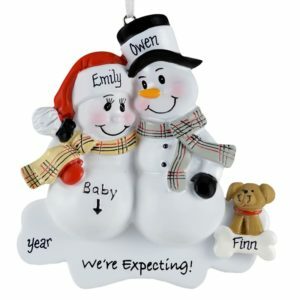 How adorable would a pregnant couple ornament look attached to the bow of a Baby shower gift? 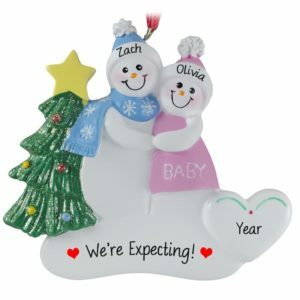 Perhaps this is your first grandchild on the way and you want to give your son and daughter-in-law fabulous memento of this blessed occasion. If the couple already have a child of the four legged variety, our elves can make sure to include a dog or cat in the color of your choice. 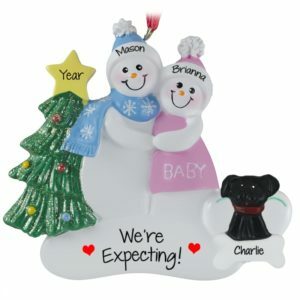 Our expecting couples is one of our bestselling categories, and when you look, you’ll know why!